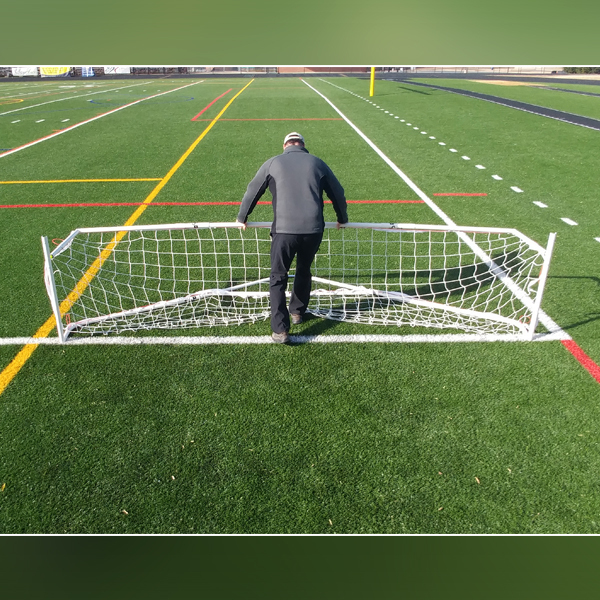 Goal dimensions are 2M tall x 3M wide x 1.5M deep for ultra-stability. 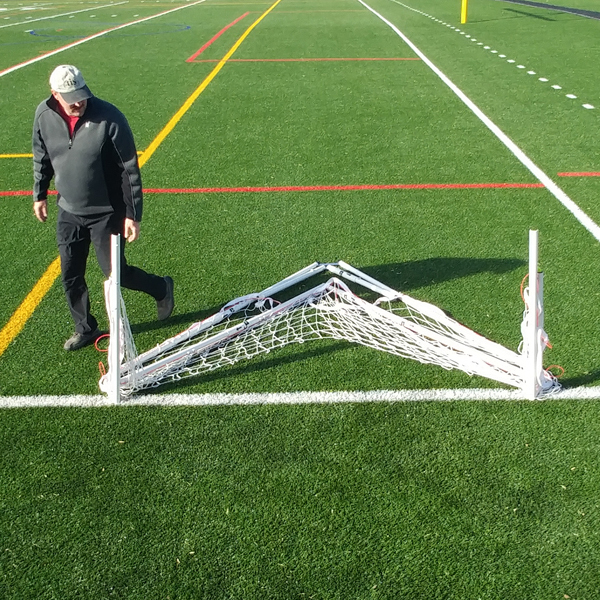 Rage Cage SPRINT goal comes with a 3mm, white, polypropylene net with 4” squares. Rage Cage one time quick assembly is required. The ground pipes have a “dog-leg” bend and are angled to a single point in the rear center. 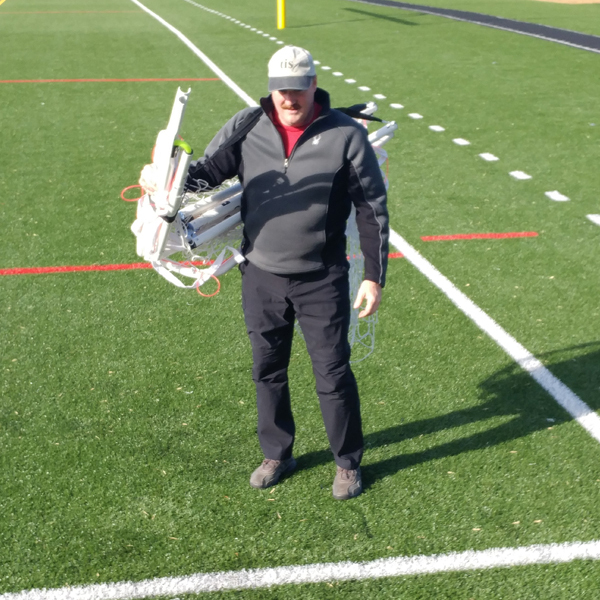 SPRINT is intended for 3v3, 4v4 and 5x5 play. 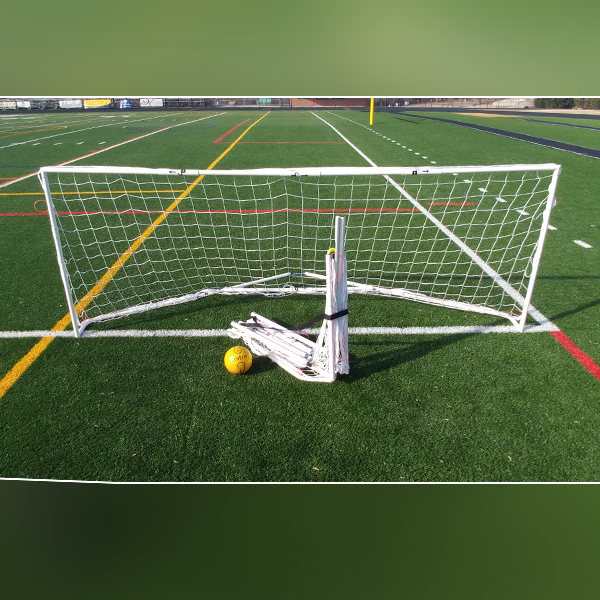 Rage Cage SPRINT can also be used for small sided, youth leagues, urban and beach play. 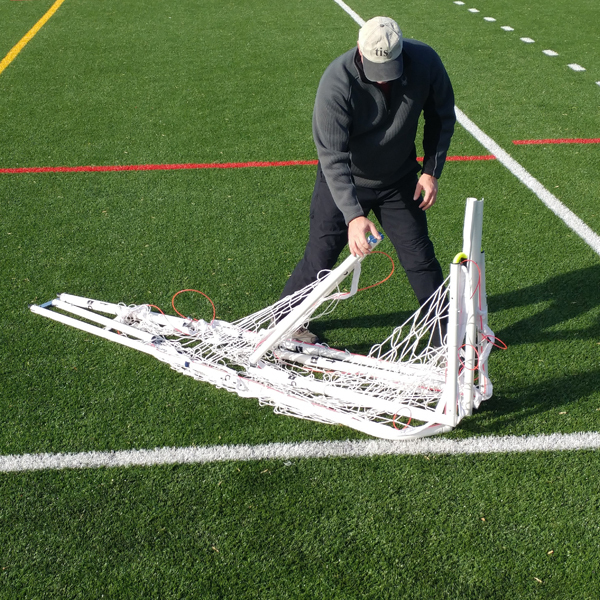 It’s rigid 1 ½”OD steel frame is powder coated white, folds in seconds and uses Rage Cage ultra-durable net fastening system. 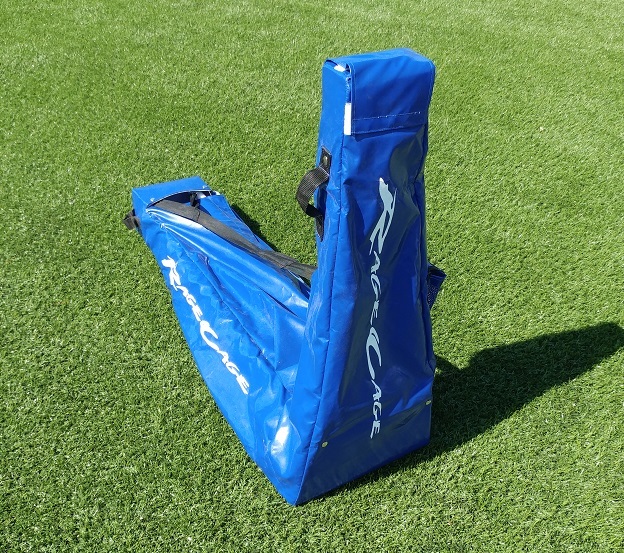 Each goal comes with a carrying strap.